Traditional black and white wedding photography is very popular for today’s modern couple as it provides a timeless record of their wedding day and the time they’ve shared together. 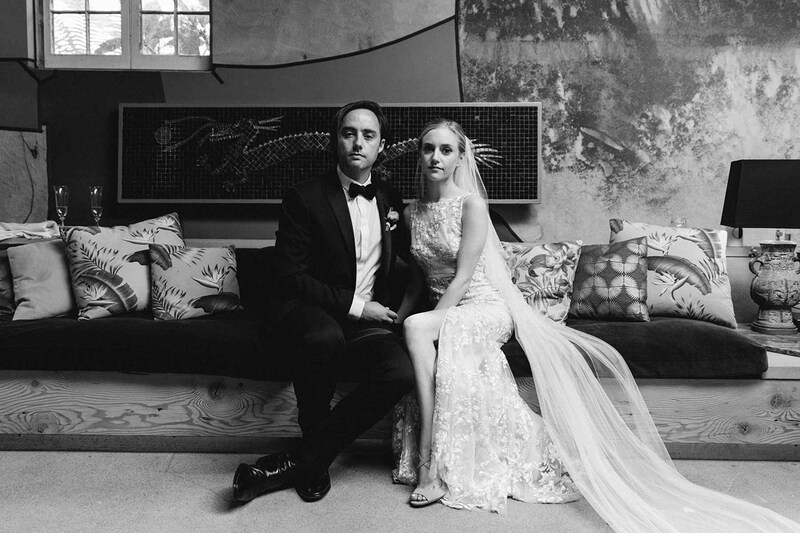 Did you know that wedding photography was traditionally black and white? Well of course YOU did. Everyone (especially wedding photographers) know that we haven’t always been able to shoot in colour! But that doesn’t mean that we have to abandon a classic tradition does it? No one is saying that you have to shoot an entire wedding in monochrome (unless your client wants you to of course), but a lot of photographers nowadays do incorporate this style of wedding photography into their work. 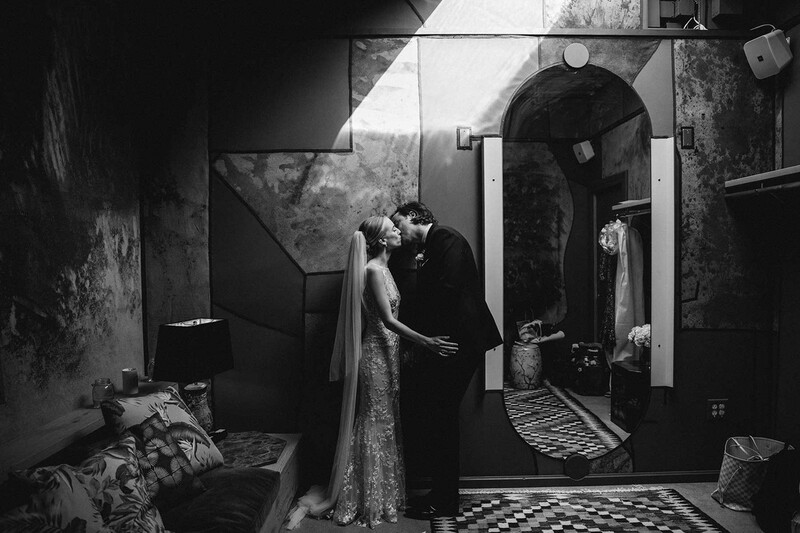 Is Black And White Wedding Photography For Everyone? - Usually as the photographer, you should ask the Bride and Groom beforehand if they want this service. If the answer is a big fat YES, then find out if there are specific shots that they would like captured in this style. 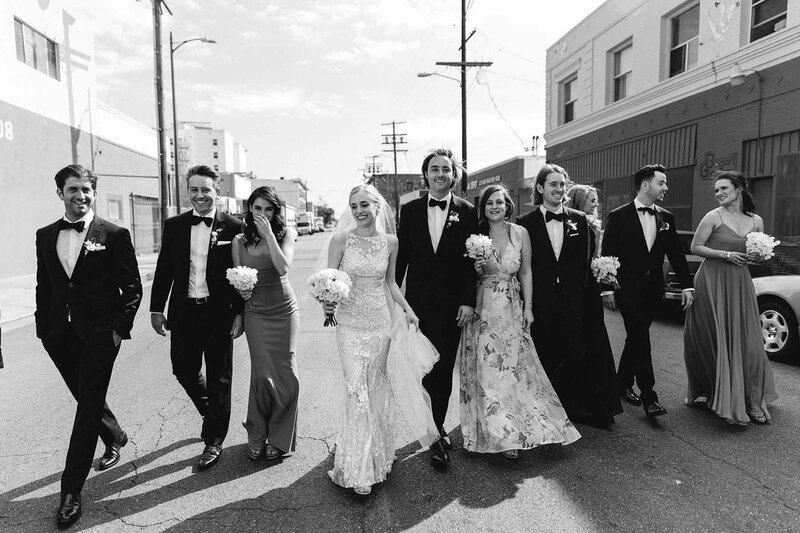 For example, images of the happy couple in black and white are usually taken outside of the wedding venue and at the wedding reception/ These kind of images are captured in the candid sense. People love a good party, don’t they? You can pretty much capture anywhere else that the lighting is good so, if your photography package allows for it, feel free to freestyle with the images that you capture in this way. Fair lighting is key with this style of photography, otherwise all that the blushing Bride will see are blackened images for wedding photographs. This is not really ideal for wedding images as you can probably imagine so, just make sure that there is an even split between light and dark throughout the images before you capture them in this style. Having said that, you can still work in fairly low lighting conditions when shooting in this style. such as in churches, and is also great for winter weddings when the light fades earlier in the day. Black and white wedding photography often means your photographer can shoot without the use of flash in very low light conditions making them less obtrusive and very discreet. Get those candid shots! This kind of imagery style is actually very popular with clients who have the wedding album visual in mind. Albums with a mixed choice of images are usually created using a mixture of colour and black and white wedding photography. 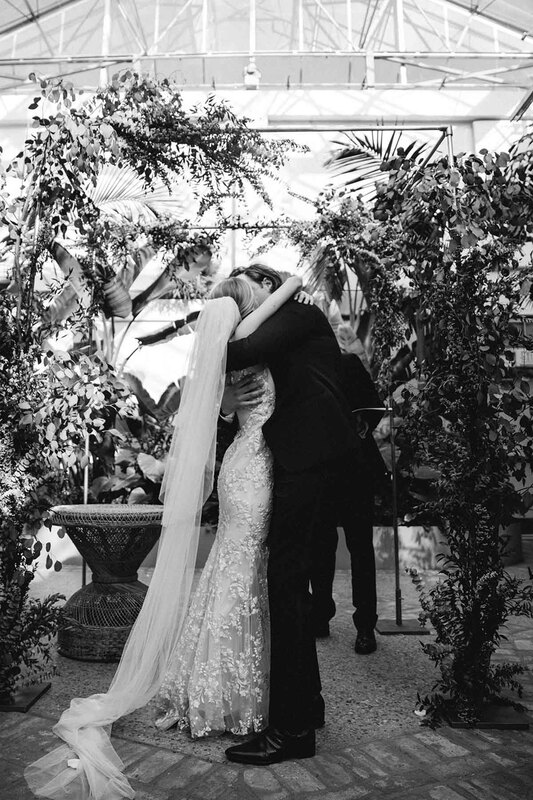 Why Is Black And White Wedding Photography So Popular? - People often wonder “should I have a black and white wedding photographs taken at my wedding?” and we think YEAH! Why not?! As we’ve mentioned, this style of wedding photography really adds something special to the wedding album. A traditional sense is given when black and white wedding photography is used. One reason why wedding photographers tend to appreciate black and white images so much is because the content becomes less complicated than colour and helps draw the viewer to the subject’s expression. If any of your clients bring it up or are open to black and white wedding photography but need a little nudge in the right direction. We’d encourage them to go for it, even if it’s just with a select few images. Even if they don’t want their actual wedding day shot in this style, Bridal portraits may be a good option for them. Black and white wedding photography throughout Bridal portrait images is actually very flattering. The style makes the Bride's skin look flawless and it draws attention to the subjects’ eyes and expression. Black and white wedding photography can create dramatic Bridal portraits, particularly if architecture and landscapes are used in the pictures (HINT HINT). There’s another idea about how this type of imagery can be captured with your couple. Today, we’re sharing five of our five best kept secrets (intended to be used during the wedding consultation) for wedding photographers.